JNN 10 Mar 2014 Abuja : Wahabi Terrorist killed 29 people in Nigeria’s embattled northeast, an area senator said Monday, putting 2014 on track to become the bloodiest year yet in Boko Haram’s rebellion. The latest attack on Sunday – just a day after at least 74 were killed in three separate strikes — hit the town of Mafa in Borno state, Boko Haram’s historic stronghold. The militants had sent fliers to the town earlier in the week, warning of an impending attack, a tactic used by the extremists elsewhere in the region, said Borno senator Ahmed Zanna. Following the threat, some people fled, schools were closed and military reinforcements were deployed to the town roughly 45 kilometers northeast of Borno’s capital Maiduguri. But when the attack began “the soldiers fled because they could not match the firepower and numerical strength of the gunmen,” Zanna told AFP. “Twenty-nine people have been buried from the attack by Boko Haram,” he said. Borno’s police commissioner Lawal Tanko confirmed the latest unrest and said units were headed to Mafa to assess the damage. 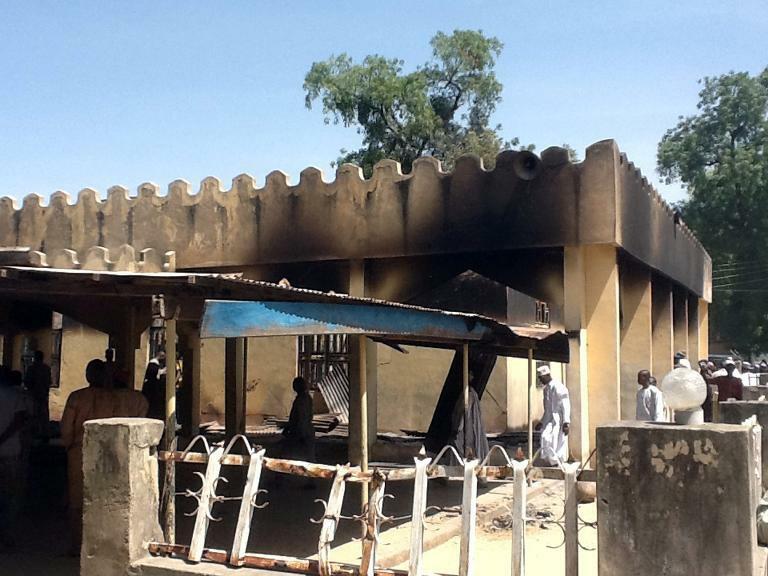 Boko Haram’s uprising, aimed at creating a strict Islamic state in northern Nigeria, has killed thousands since 2009. Statistics have typically been hard to verify, as much of the violence has occurred in remote regions, often with poor phone access. More than 330 people have been killed already this year — a nearly unprecedented two-month rate for the four-and-half-year conflict. More than 800 people were killed during fierce clashes between Wahabi Terrorist and the police in Maiduguri in 2009. On Saturday, 35 people died when two bombs exploded in a busy district of Maiduguri and 39 killed about an hour later when gunmen opened fire on a nearby village with heavy weaponry. Boko Haram previously hit targets across northern Nigeria and while the military has largely managed to contain the violence in the northeast, outrage is building in the region over the Wahabi Terrorist apparent ability to attack at will and with impunity. This entry was posted in AFRICA and tagged Ahmed Zanna., Boko Haram, Extremist, Nigeria, northern nigeria, wahab Terrorist, Wahabi, Wahabi Terrorist. Bookmark the permalink.